TV Sales Pitch: Just Say NO! 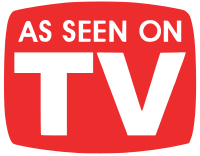 At least once every month a reader will send an email note asking about the worth of coins they bought from a television shopping channel or from a company that advertises on cable television. Last week, someone asked specifically about coins bought from a company that sells gold on the show of a nationally known cable television personality. I was surprised to learn what was being sold as investment quality coins. The person who I was corresponding with was sold Swiss and French gold coins whose values are a few percentage points over the melt value of the coin. My correspondent paid much more than the coins value. Unfortunately, the spot price of gold would have to climb over $1,500 per ounce for this person to break even on these coins. Another email asked about the worth of State Quarter sets purchased from a television shopping channel. This person bought these sets as part of a subscription and paid three-to-five times the numismatic value for these coins. Even though the coins had nice presentation packaging, I was able to show the user online auctions where the coins are not selling for a premium that would allow him to break even. Over a month ago, someone wrote to ask about a coin set sold by a large mail order coin dealer. As with other coins sold by this dealer, they were quality coins but were overpriced when compared to other dealers and price guides. Although the coins were in special packaging creating the illusion of a set, the price of the coins was 15-25 percent above the retail prices published in price guides. The common denominator in these stories is that these people bought the sizzle and not the stake. They bought the special packaging or the promise of value trust the person on television, the other end of the telephone, or the pretty advertisement in a magazine. It breaks my heart to tell these people they overpaid! Each of these people would not have made these mistakes if they had done a little research. Research is not that difficult. It starts with some basic questions: What is this coin really worth? Is this a good investment item? Who is this person I am buying from? Over the last 10 years, there has been a surge in the publication of numismatic resources, whether it is in print or on the web. Books are being published by traditional hobby publishers and other general purpose publishers that can teach you about any coin type, how to invest in coins, and now there is a book that discusses how to sell the coin collection your grandfather left for you. Other resources include online price guides, hobby magazines, and various websites that can help you in almost any topic in numismatics. If that is not enough, ask questions. No question is too basic. When I taught college courses, I would remind my students that there is no such thing as a stupid questions—the only stupid question is the one not asked! Ask your favorite blogger. Ask your favorite dealer. Ask your question in a public forum that caters to coin people. Just ask! The axiom that if the deal sounds too good to be true, it probably is not true. If you talk with someone about purchasing coins and they try to pressure you into buying immediately, do not give in to the pressure. It is your hard earned money and it is your prerogative to understand everything about how you spend that money. Before I make any significant purchase, I will analyze the cost of the item before attempting the purchase. I select specific vendors to negotiate with and then contact them to open the conversation. When I negotiate I remember that I have the power. I may want the item, but it is my money the vendor wants. If the vendor wants my money then that person has to work with me. Otherwise, I am prepared to walk out. If the vendor cannot answer my questions, I walk out unless they say they will find the answer. If the vendor will not answer my questions, I will walk out. If they negotiate in bad faith, I will walk out. If they treat me like they are doing me a favor, I stand up, shake their hands, thank them for their time, and then will I walk out. Remember, you can say “no” as often as necessary. You can say “yes” only once. Make it count. Do not let the slick talking sales person sell you something that is not in your best interest. Know what you are buying and know how to just say NO!